SOURIAU - SUNBANK Connection Technologies provides rectangular backshells for connectors with multi-configurations available (straight, 45° or 90° angle, split or one-piece body), various entries and accessories. 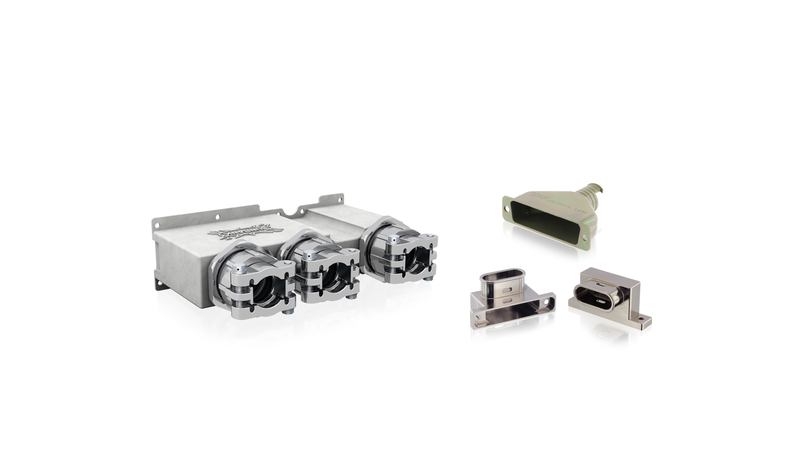 We offer a range of rectangular connector backshells including for ARINC600 rack and panel connectors, micro-D backshells and D-Sub backshells. If the type of backshell that you are looking for is not present on our website, or if you have any questions about our range, you can contact our technical support by clicking on "technical support" at the bottom of this page.